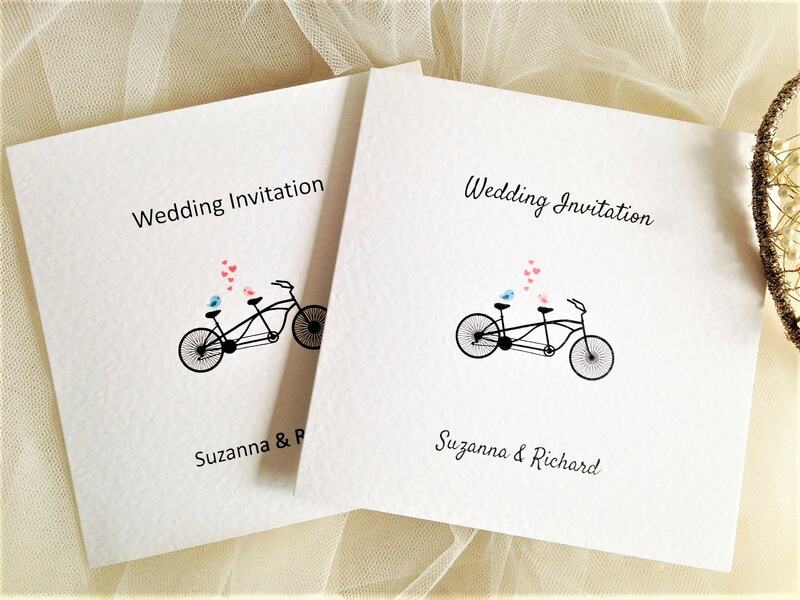 On trend, beautiful personalised tandem bike centre fold wedding invitations are supplied on a thick heavy weight (270 gsm) hammered card and available in white or ivory. 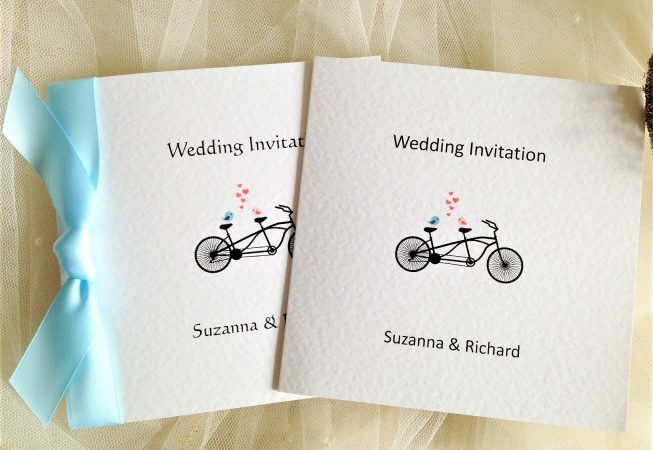 This wedding invitation design is part of our Tandem Bike Wedding Stationery Range. 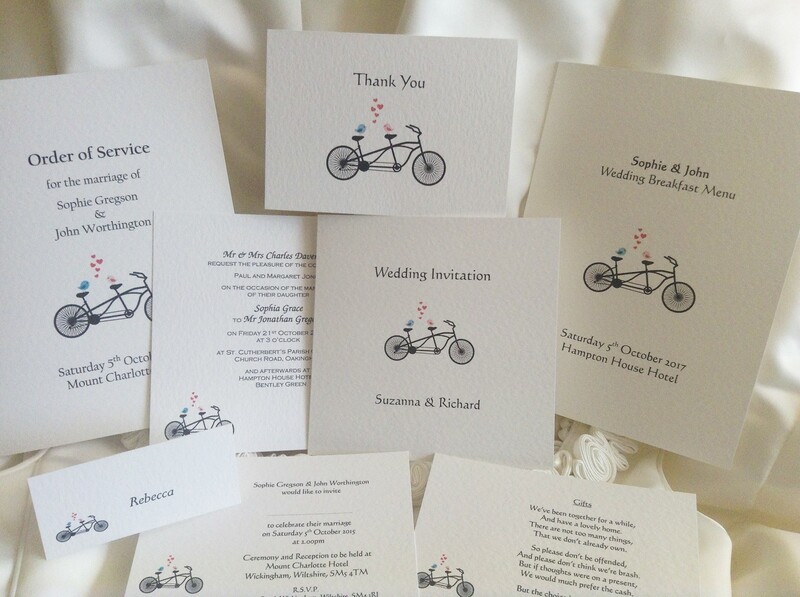 We can supply Invitations, RSVP cards, Guest Information cards, order of service books, menus, place cards and thank you cards in the same Tandem Bike theme to match. 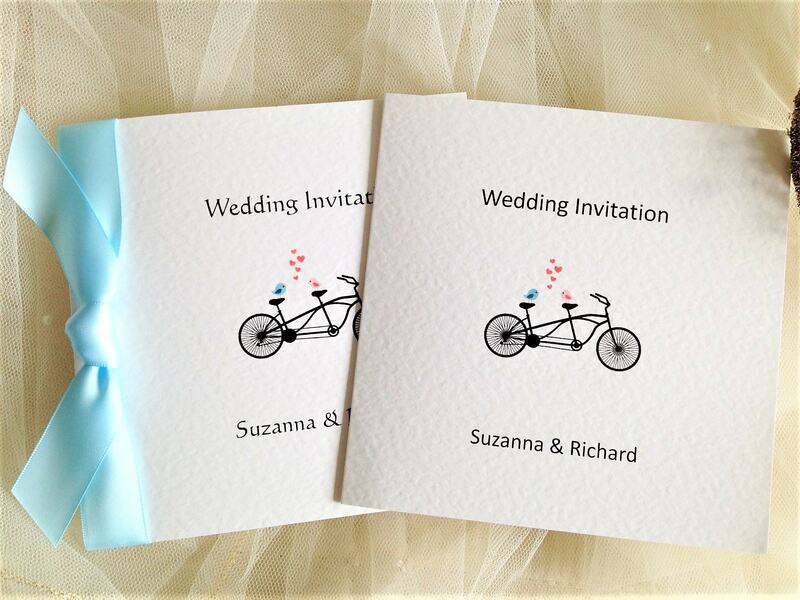 Our Tandem Bike Square Centre Fold Wedding Invitations are a popular choice for couples who love cycling or just want a relaxed feel to their wedding day. 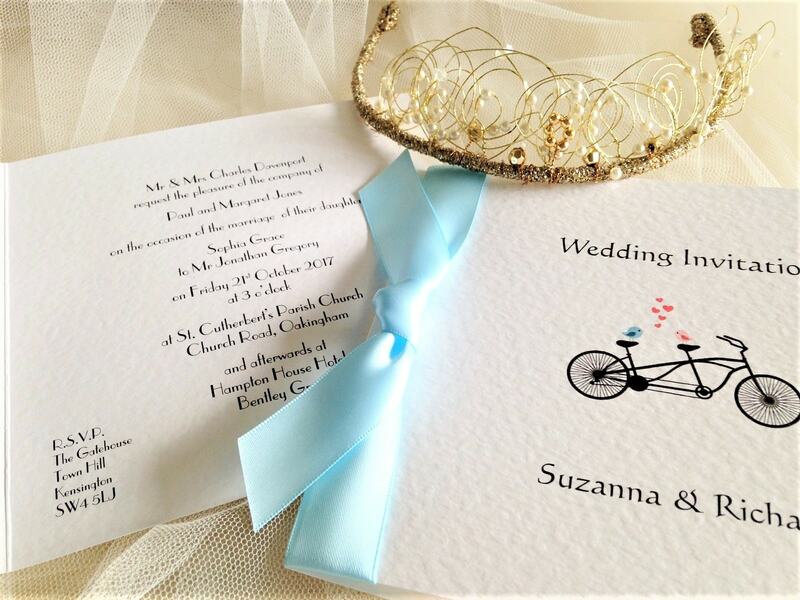 This attractive design has a contemporary feel and can be ordered with or without ribbon to match a colour scheme.